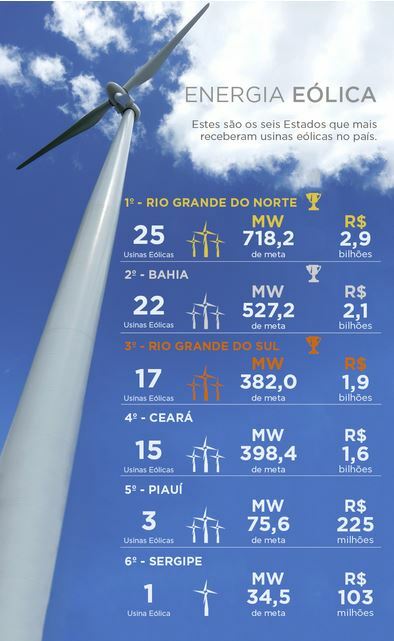 According to the brazilian government report “World Energy and Socioeconomic Ranking (years 2012/13/14) (portuguese) Issued on 10/11/2015, produced by the Ministry of Mines and Energy, the country will reach already in 2015 20 TW for wind generation, at the moment it ranks 10th to generation, up 5 positions (it was 15th in 2013). There are 16.6 Gigawatts (GW) of wind power in auctions (Proinfa 1.4 GW, 6.9 GW in operation, under construction 3.6 GW and 6.2 GW in preparation). 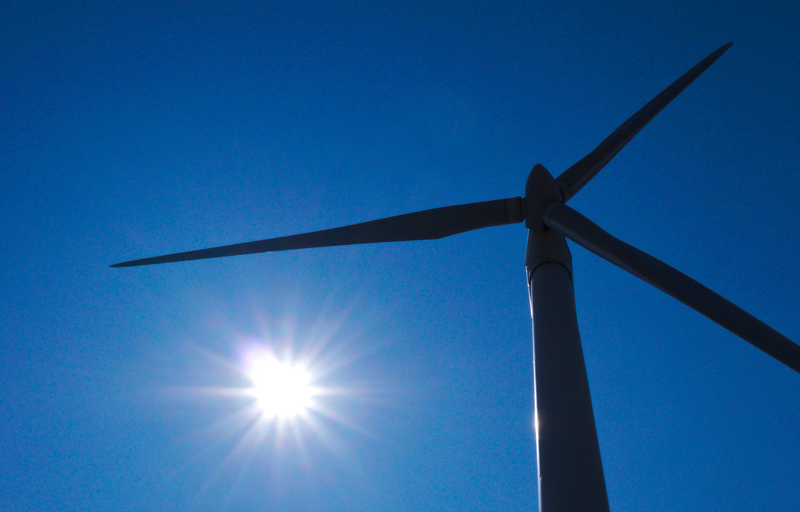 The world leaders in installed wind generation, considering the proportion in the total generation in the country, are Denmark (41.4%), Portugal (23.3%), Ireland (20%) and Spain (19.1 %). According to Portal Brasil, with a capacity factor of 37% (2014), Brazil presents one and a half the global indicator, and this is great news, the outlook for a short-term future is even better, with factors capacity ever higher. There is also good perspectives to solar power generation. 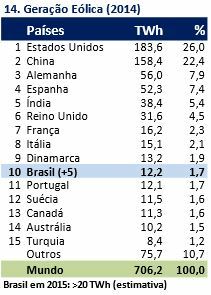 In two years Brazil will be among the 20 largest producers in the world, with 2.6 GW already contracted, if we consider the forecast of expansion planned for other countries in the world ranking. The top five countries in terms of installed power (China, Germany, Japan, Italy and USA) are responsible for 70% of the world total. The data can be find at Energia Solar no Brasil e no Mundo – Ano de Referência – 2014 (Solar Energy Bulletin in Brazil and in the world – Reference year – 2014), also published by the Ministry of Mines and Energy. With recent tax exemptions for photo-voltaic and ProGD (Distributed Generation Program for Energy) program, which seeks to encourage the generation of energy by consumers themselves based on renewable sources, there is now potential to reach 23.5 GW installed by 2030.